With over 25 years of experience we can honestly proclaim we are heating experts. We repair and service all major brands of Gas ducted heating including Brivis, Braemar, Lennox, Omega, Bonaire and Stadt plus all the major reverse cycle air conditioning systems lke Panasonic, Fujitsu, Daikin, Mitsubishi, Emailair, York, Temperzone and the list is growing. We have rejected offers to become affiliated with any of the large manufactures so we can offer clients a genuine non-bias professional alternative for all your ducted heating repairs and servicing. Our service vehicles are fully stocked with most parts but should the occasion arise that it is not on board we can usually locate it quickly as we have access to a fantastic spare parts network. 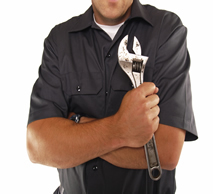 Your local specialist in Heating Repairs, Service and Maintenance.